Our development cycles now last ~3 weeks, where we work on a defined feature set whilst fixing bugs and improving overall performance. This time, the new release comes with changes that may render previous configuration and state files invalid – please check the Changelog for details. 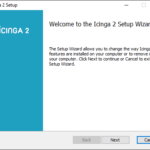 0.0.6 adds a new major feature to Icinga 2: Built-in ScheduledDowntime configuration objects can be used to set up recurring downtimes for services. Imagine the following scenario: Your host will use a load service to check its performance at a regular interval. At night during backup, an increase in load may induce warning/critical check results and trigger alert notifications. While you can still schedule one downtime manually in advance or use external scripts and a cron job to schedule downtimes, it would be reasonable to plan your maintenance for a defined time range using a scheduled downtime. Add a new entry “backup” as scheduled_downtimes entry in the service definition and use the previously defined template. This works in the same way as notification declarations. Please note that only the first downtime is active within a given range and shown in the user interfaces. 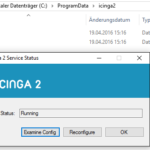 Enjoy the new scheduled downtimes in Icinga 2! 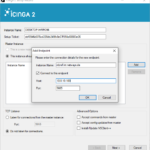 🙂 Download Icinga 2 0.0.6 and report any bugs to our development tracker and send us your test feedback in our community support channels or with a comment below. Scheduled Downtimes as configuration object (also known as “Recurring Downtimes”). Generated object names (host with services array) use an exclamation mark instead of a colon as seperator. State file objects with downtimes, comments, etc are invalid (unknown) for that reason.